Awhile back I introduced you to my friend and fellow Charlottean-and-Robert Kaufman artist, the fantastically talented Caroline Simas of Multiple Blessings. 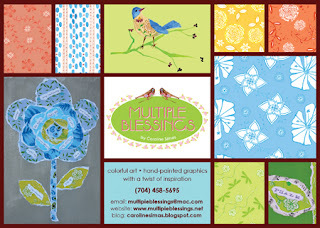 To learn a little more about Caroline, visit Cindy Ann's Blu Penny blog feature article. Caroline's new fabric line, Finally Free, is shipping in December and she is giving away one yard of it this weekend on her blog! Isn't this bird and flower fabric beautiful? 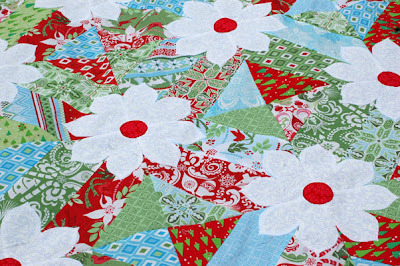 Hop on over to Lily Pad Quilting and learn about an amazing challenge she issued on to help underserved kids in Malawi. For every yard of fabric that you donate, you'll be entered for a chance to win some fabulous prizes, including one set of my entire pattern line. Lots of us have fabric leftover from projects that we can donate, so don't forget to visit! Great Veranda Giveaway going on at Cluck Cluck Sew! 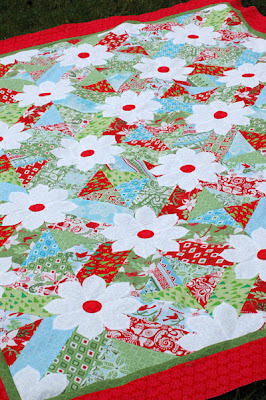 Just letting you know that Allison, quilter extraodinaire, has a fantastic Veranda giveaway going on at Cluck Cluck Sew. Ten-squares AND Roll-Ups! Make sure to visit! I love the how the vibrant colors frame the big white flowers! On another front, my market-booth-neighbor, Brandy Masher, created a really neat wall hanging using a charm pack of Veranda. 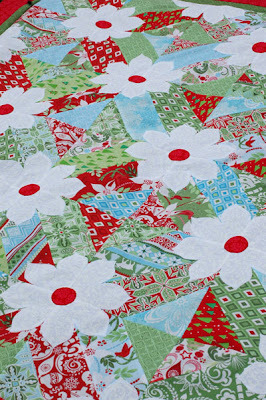 You can see it on Ribbon Candy Quilt Company's blog. Isn't it sweet? I like the Pretty in Pink...Breast Cancer Awareness Month is coming up and I will be celebrating 8 years as a survivor on the 16th...so I want to make a pink scrapbook! I'm sure that everyone will join me in congratulating her on you on your 8th year as a survivor. That is wonderful! Hope you have a great time making your pink scrapbook! Last week My Memories contacted me asking if I would like to give away a copy of their software to one of my blog readers. 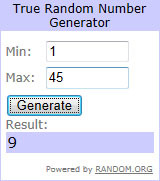 Well, of course I want to give you all the opportunity to win something fun for free! To enter this give away hop on over to the My Memories site and click on "Digital Scrapbooking Kits" on the sidebar. Come back here and leave one comment on this post telling me which kit is your favorite. Don't forget to leave me a way to contact you should you win. Have fun! The deadline for entries is this Monday the 12th at midnight. I never wreck my vacuum by sucking up snarls of loose threads and pins. That's why we buy vacuum belts by bulk. Ha ha! Nor do we, Maggie! Thanks to everyone for participating. I am so far behind in my emails that I haven't gotten to write back to everyone, but we read every single big fat lie and they were hysterical. Who would have ever thought so many swimsuit models and chocolate-haters reading this blog! 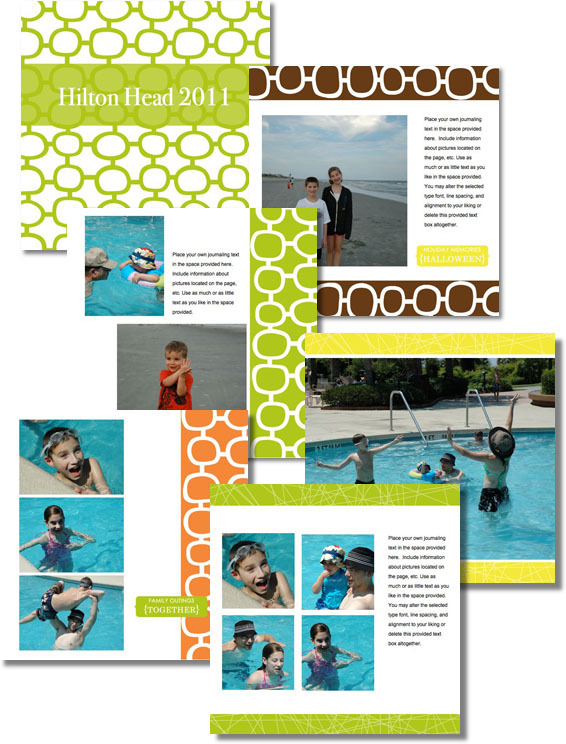 Late this week I'll have a giveaway of some scrapbook software - so check back soon.